with Derrick Jensen and Aric McBay, of Deep Green Resistance: Strategy to Save the Planet. She’s also been arrested six times. 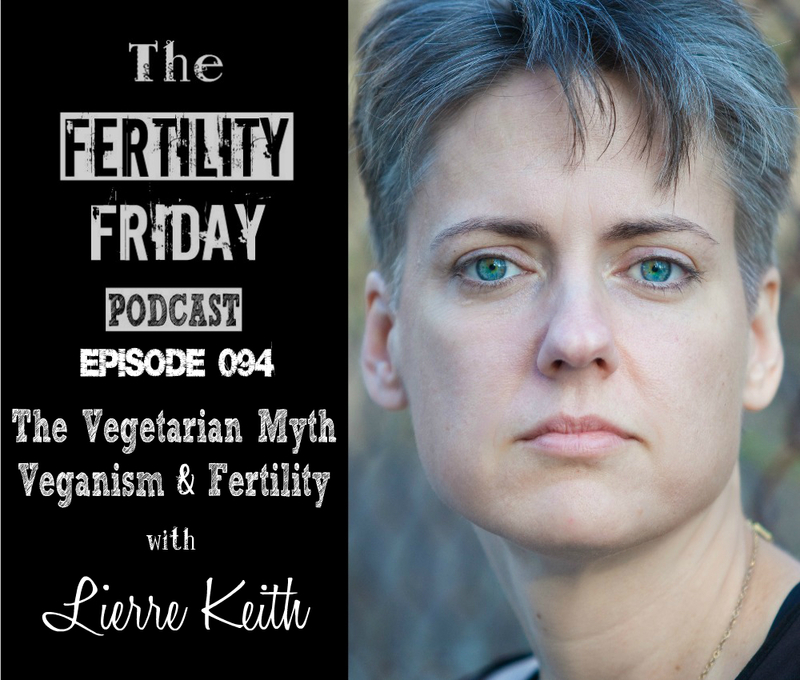 In today’s show, we delve into the topic of veganism and the impact it can have on fertility. We also tackle the idea that veganism is going to save the world, and eating meat is going to destroy it. Will veganism save the world? loved this episode! thank you for sharing. there’s a lot more to being a vegetarian or vegan than I had previously thought. Its nice to hear a well thought out perspective that opposes it. I LOVE this podcast series. It is a godsend to women around the world. We need more people to spread this information in the way Lisa does. That being said, I would love for you, Lisa, to have a supporter of the vegan diet during preconception, conception, pregnancy, and postpartum on the show. That would be an amazing balance of information. Those people are out there! Dr. McDougall speaks on that topic, as does Dr. Alona Pulde, Dr. Matthew Lederman, and Dr. Campbell! I’m so glad you’ve been enjoying the show! Although it would make sense for me to balance it out by having someone on the show to promote the vegan diet for fertility, unfortunately based on my training, my experience with clients, and my own personal experience, I could not ethically recommend a vegan diet to anyone who is trying to conceive. It is missing too many key nutrients. Although some women may experience temporary health benefits after switching to a vegan diet, that could be a result of them removing the bad food they were eating before, not the diet itself! Make sure to take a listen to this podcast episode for additional information! This podcast series was really interesting to me because I stick to a mostly vegetarian diet, mainly because I find it disgusting to think about where the meat comes from. I hope one day humanity will go back to the traditional way of living. Tank you for this! This may be the best episode yet! I learned SO much!!!!! I used to be vegetarian and vegan for animal-cruelty and environmental reasons (still recovering from that poor health decision 4+ years later), and now that I eat Paleo I almost exclusively buy humanely raised meats straight from the farmer. Up until this episode I still had a guilty conscience about eating animals, but that has all changed. Thank you for bringing Lierre’s work to our attention! I was interested in listening to this podcast because I have been living a mostly raw vegan diet for over a year now. My journey started three years ago when I was eating the most toxic diet possible. Fast food, processed foods, energy drinks, and alcohol consumed me. I started by going gluten free. Within months I cut soy and dairy at the same time because I was still dealing with gastrointestinal and skin issues the way I did with gluten. As my journey continued I was going through the motions from detoxifying while building a new inner Eco system. A few months after cutting soy and dairy I cut eggs and meat. It has been over two years since then and I now eat a diet full in nutrient rich raw, whole foods. I do not eat processed foods, no sugar for over a year now, and I have never relied on soy or wheat to be my source of protein. Through my experience and education I have learned and come to fully believe to my core that if we eat a vegan diet that is versatile in nutrients we can live a healthy lifestyle. I see so many people claim to be healthy because they are vegan and that is far from the truth. Processed foods , GMO soy, GMO wheat and GMO produce are causing disease after disease. This podcast was incredibly hard for me to listen to because the entire time I was agreeing that yes… Soy will do that to our bodies. If we eat that much soy because we feel it needs to be a protein replacement, we will suffer from it. Protein comes from so many places in a plant based diet, I think the biggest issue is eating enough. Years into this lifestyle and I still know I need to be eating more. I believe I am growing and learning and adapting and have only become healthier for it. I have never commented on any podcast or episode in general online. I usually keep my thoughts to myself. But, the reason I felt compelled to comment is because between the ages of 5-25 I was INCREDIBLY sick. Everything from anxiety/depression to cystic acne, migraines (all 20years) , blood clots, endometriosis, Candida (did a 9 month cleanse and t was wonderful!) , fibromyalgia…. The list goes on. I lived in the doctors office, hospital, has multiple surgeries, lived on pills my entire life. It wasn’t until I took my diet into my own hands and made a commitment to listen to my body with everything that went into it and that was taken out of it, that I have found health. Every disease I listed is now gone. I have reversed everything through living a plant based diet but I do believe it is because of the path I took to get here. Instead of relying on wheat and soy to live on I found a way of living a whole , raw, and organic lifestyle. I do cook meals from time to time but my body thrives on raw foods. I believe every day is a new day to learn. I am now midway through my plant based certification through the T. Colin Campbell foundation with Cornell University. Dr. Campbell is the author of The China Study. I am just wondering if this book has been read and studied by you or Lierre and what your thoughts are. Thank you for your time in reading this . I have been loving this podcast for the past month and half and am finally almost completely caught up to the current episodes! This episode was particularly interesting to me, and I really liked hearing a lot of the ideas being explored. I am curious about the nutritional quality of a pescatarian/”flexitarian” type of diet. I have dabbled in veganism/vegetarianism in the past year, mostly in conjunction with a general elevated consciousness regarding health and wellness/diet as a whole (coming from incredibly processed, sugar heavy, fast food laden habits prior), but I find the entire concept explored in this podcast really noteworthy. That being said, I still don’t LOVE meat and find myself opting for fish more often/eating meat very minimally- once every few weeks potentially, or when it’s given/cooked for me by others. I am curious about how MUCH meat or animal products should be in the diet for this to be the most optimally nutritious? I am not opposed to eating dairy, cheeses, bone broth, etc etc either, just preferring fish in most scenarios, but also not blocking meat out entirely. I would appreciate any links or resources furthering this idea!